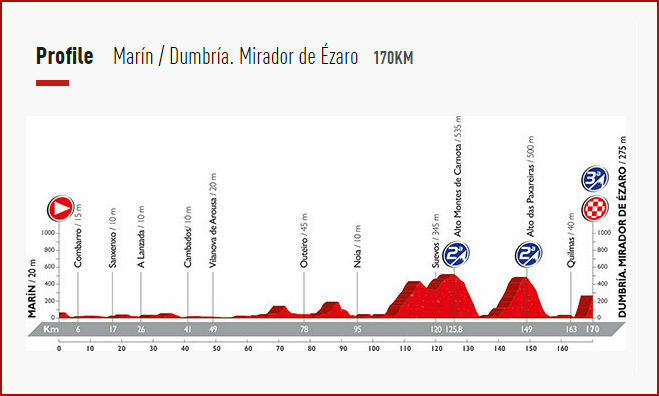 The finish to today’s stage, the Mirador de Ézaro, is a sharply steep, twisting climb of just under 2 km. With slopes of about 14% average and 29% maximum, it might be called a wall, but corkscrew is more accurate. Contador did well here in the 2012 Vuelta, even though he was beaten to the top by Purito Rodríguez. The two Spanish climbers thrillingly outstripped all others on that day.